In a hand-me-down swimming suit – sailor collar and bloomers – Alice sat atop the rock. Charlie, Harry and Jack dived, their one-piece costumes sagging when they strode out of the water. Alice looked away. 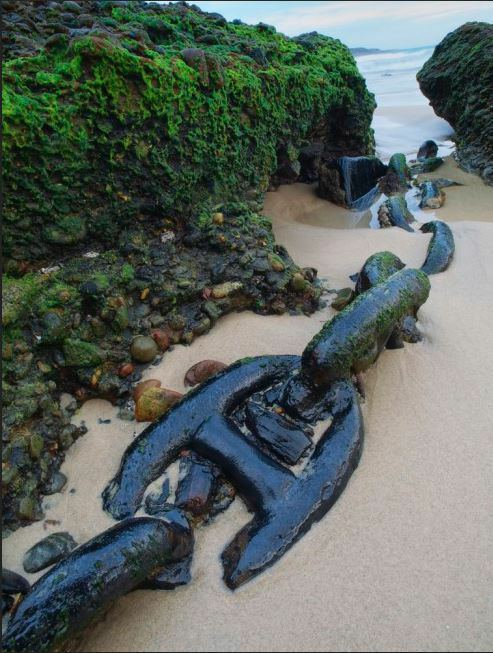 She watched them race each other on the sand and play tug-of-war with a chain. They demanded she select a winner, but there was nothing to choose between them: young, handsome men, full of life. She would have said yes to whoever asked first. Two weeks later they were called up. Alice heard they didn’t even make it across the channel. She should have kissed them all. This is a Friday Fictioneers story. 100 (or so) writers writing 100 words (or so) inspired by the top picture. Vote for Our Endless Numbered Days! The Reading Agency is holding a fun poll to see who readers think should win The Desmond Elliott Prize. Click here to vote for one of the shortlisted novels, including mine. Your story, well written as always, leaves an ache in my heart. Lovely. Thanks so much Rochelle. On Friday my son is 20, and last night he sat beside me playing his guitar – it was such a wonderful evening. Most likely the same age as the men in my story. It makes my heart ache too. How beautifully sad – she really should have kissed them all! Thanks Sonya. Indeed she should. Very nice, evocative story with a good arc. Well done. Thank you! Difficult to get an arc in such a short piece. Where did you get that amazing photo? We have an album made for my father by his mother – snaps of similar young men showing off on the beach, doing handstands with the tops of their costumes rolled down. In brackets beside some of the pictures my grandmother has named boys who didn’t make it through the war. Thankfully all her sons did, or I suppose I wouldn’t be here for one thing. Great story in those 100 words. Full of sadness and lost youth. Your family album sounds wonderful. Mine is from the Library of Congress – if you click on the picture it will take you to the page. We don’t ever use ‘dove’ in British English, it sounds very American to my ears, or else I just read the bird. Glad you liked the story – thank you! Thanks – I will follow the link to the photo. There are some pics from my Dad’s album here after this story – they are a pretty special set of photos of days gone by. Yep, that dove is confusing – we drove to the beach but dived into the water in the UK. Argh! Stop making me cry! Wowza. Looks like “atop” is the word of the week. I’ve thought about using it before but was slightly concerned it might be seen as old hat/pretentious. However, I bit the bullet this week and used it, after a minor moment of swithering. The fact that a “pro” used it has me at peace for now. Good story. Got goosebumps reading this one…excellent! And congrats on being short-listed in this contest. I’ll pop over and give you my support! Glad you liked it, and thanks for the vote! Ooh, a classic regrets tale, good show. Hah – that’s a whole other story. Glad you liked it. (I voted – again! Glad to see you’re ahead. Go! Claire!) Anyway, this is lovely. Like Rochelle, I often wonder what it would be like to swim in those outfits. And, yes, she should have kissed them all. The women’s were even harder with the bloomers and suits. Just for paddling really. Thanks for voting! This has such a wonderfully bitter tinge to the end. It’s almost tangible. Awful to think that there were probably many stories like this one, and all true. Glad you liked it and thanks for commenting. Beautiful and sad at the same time! Thank you. That’s what I was aiming for. If she had kissed, would her grief be deeper? Do we run headlong into love and risk everything or hold back and have regrets? Age old questions. Ah, good questions – and I don’t have the answer. Thanks for your vote! Little has changed except for swim suit styles, has it? So sad and beautiful. She should have kissed them, indeed. You’re right – which is a sad thing. Thanks for reading and commenting. I love the last line. Oh, so sad. You can never predict these things. Hey, I voted for you. And, I saw that you were figured on WordPress today. Yay!! Congrats, Claire!! Thanks Amy. Glad you liked it and thanks for voting. Yes – lovely to be featured on WordPress – I’ve had lots of lovely new visitors. Wars – always so meaningless; it did leave me with a lingering ache at the corner of my heart ! What a waste of life they were / are. Sorry about the ache, but glad you liked it. This is full of emotion without being overly sentimental. Lovely. Thanks Mr Binks! And for the Klaxon – it’s hooting here in my sitting room! What is that old saying… Never put off for tomorrow? What a heartbreaking story, more so for that fact it probably happened many times. Well done, Claire. You’ve got my vote. I am so happy to have discovered your blog through the wordpress blog, and through that the wonderful “quest”. And what a striking precise story. A sad story of the many opportunities lost to war. Very sad, and so often repeated then and now. Very well-written. Solemn, sad and so, so simply told. You are a subtle master of your craft. That you used your piece to shine a compassionate and humanizing light on the young men (and women) of the greatest generation quietly thrilled me as we both wrote similar tales this week. Good company for me. Well done. Thanks Doug, your messages always mean so much. Heading over to yours shortly. Oh my goodness! What a tear jerker! Great work, Claire. Thanks Marie Gail. Sorry you had to get out the hankies! What a beautiful way to highlight a tragic reality. Wonderful descriptions and emotions. Thanks Margaret, so pleased you liked it. Powerful piece Claire. It reminded me of Ralph McTell’s Maginot Waltz. I’ve just been and listened to that. I didn’t know it, but how odd that it’s such a similar story. Although I suppose, sadly, it was an all too common story. Thanks for reading and for the link. They were just cannon fodder in WW1 – it is disgusting how this country squandered all those young lives. A beautifully sad, wonderfully evocative story. 🙂 She really should have kissed them all. so lovely. I imagine there were a lot of regrets of that variety during all war times. I’m sure there were. Thanks for reading. What a beautifully written poignant flash. You painted a great picture and left us with our hearts aching. bummer. a real sad story. Thanks Susan, glad you enjoyed it. Such a sad but too true story, Claire; it brought tears to my eyes– a compliment in the fullest. Beautifully told. Thanks Dawn – that’s praise indeed. A beautiful and heart rending story. Sadly I’ve known some of those men. That’s even sadder. Thanks for reading and commenting. YEs she should. Perfect story for D-Day, when one of my good friends remebers his father who didn’t come back. That’s very sad. All of it is sad and a waste. Thanks for reading and commenting, Liz. So many brave men and – really – boys lost to us for our freedom. We shall kiss them all one day – in that other place where heroes live still. Excellent story and chimes directly with the book I am reading – First Flight by Geoffrey Wellum. Thanks Hilary. It must be a sad book.